Helping a homeowner sell a home takes a unique set of skills and experience. As a local boutique brokerage focused exclusively on Montgomery County, we are able to invest in marketing programs that directly benefit our clients to get the very best from a home sale. Our success is tied directly to our client's success. Just like how we like it. There are many ways to run a real estate business. Many promote the advantages of a big team with specialists to handle individual aspects of the sale. We prefer to be more hands-on with all processes which makes us more accessible and accountable throughout. We never forget that a successful home sale is a critical next-step in our client's lives. We help home sellers in all price ranges and areas in Montgomery County. Given our extensive marketing program, however, we typically sell homes in the upper end of our market. Great photography brings a home to life on the internet. To capture your home's light, space and great features, we've invested thousands of dollars in professional equipment so your home looks its very best. Home Movie Tours are exclusive to MoCoRealEstate. These aren't simple slideshows with a music track, but are professionally filmed and edited HD full-motion videos that allow us to personally tell buyers about your great home. This is added to your Personal Website, and we create a special version that’s distributed to all broker sites providing extreme and targeted exposure. We create a website that’s exclusive to your property. This site includes all of your home's features and improvements, up to 50 or more high resolution pictures, and your Home Movie Tour. We use this site to give buyers everything they need to know about your great home - lot boundaries, location map, floorplans and more. Outdoor signs are a mess of phone numbers, websites and branding for most brokers. Not ours’. We create a custom, aluminum panel exclusive to your home. Your Personal Website provides buyers with immediate access to your home’s pictures and details. And there’s only one phone number which comes directly to us - not to a ‘desk duty’ agent who’s never seen your home. Your home will be on every local broker site and every national web portal for maximum exposure including, Zillow, Trulia, Realtor.com, and more. Whether your buyer is relocating, moving-up, downsizing or working with an agent, they will find your property online. We create full color brochures for buyers who visit your home. Our brochures professionally printed on heavy card-stock with high resolution photos, property details. We never lose sight of your ultimate goal: get the very best price for your home. 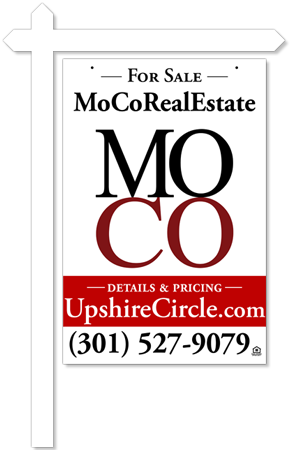 We are experts on the Montgomery County real estate market. First, we complete a comprehensive market analysis to determine your home’s value range given its style, size, neighborhood and school assignment. Once we tour your home and understand its condition and improvements, we suggest a listing price that accounts for current market conditions and your desired timing. Ultimately, you set the listing price. Once your home is on the market, we constantly manage showing feedback and monitor competing properties to insure your home is properly positioned in the market. A home’s condition and presentation are critical to a successful sale. We’ve seen thousands of homes with buyers so we know what they like and what they don’t like. We advise on making cost-effective improvements and provide our referral network of proven service providers. There’s no way to avoid the hassle that comes with making your home available to strangers. To keep your home secure, we use the most secure lockboxes available that are only accessed by licensed Realtors with a smartcard and PIN. We also hire a scheduling firm to manage all showings so you control exactly when your home will be shown. After each showing we solicit and immediately provide feedback to you as we receive it. Contract negotiation can be confrontational and stressful. We’ve been successful closing hundreds of sales by staying positive and working hard to find solutions. That has been the key to our success. We have earned a reputation for being tough, but fair and honest with fellow Realtors. Contracts are 50+ pages with home inspections and financing contingencies. Once we get a contract ratified, we have a lot of work to get the sale finalized. We have a standard list of action items that we execute for all contracts to insure the buyer performs as agreed. We also work with you to negotiate all home inspection and financing contingencies. We work together closely during this process to insure your home successfully closes. 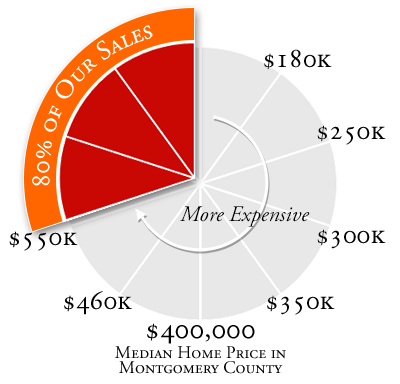 Our team is small by design so we can personally work with you on all aspects of a sale. We are available seven days a week through phone calls, email and texting. Even though we’ve gone through this process hundreds of times, we appreciate that you haven’t, so we work hard to personally address concerns and solve issues with you on a real-time basis. If you need to sell now or in the coming weeks or months, give us a call today so we can help you get started.